On a steam train to Royalla, just one of our many journeys together. My beloved Grandfather has recently passed away, while I have been living abroad as a Rotary Youth Exchange student in Germany. I composed the following tribute, which was delivered at his funeral service by my brother, Campbell. Grandad, you are loved dearly by all and there are many things which I will always fondly remember about all the memories we’ve shared together. Grandad’s love for all trains and classic cars will always remain prominent in my mind. 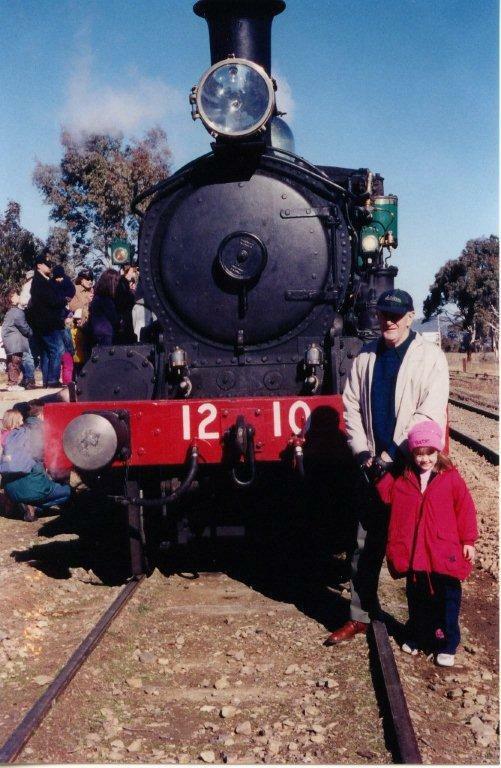 I can still remember several small steam train journeys, which we embarked on together when I was still a small child, as well as the countless visits to historical exhibitions and museums. The beloved Austin was always very precious to him and he would often spend hours polishing the car when I would visit Nonnie and Grandad. The numerous day trips in the Austin with the car club were always a highlight throughout my whole childhood, and I always enjoyed riding in such a historic vehicle, particularly as there were no seat belts in the back seat! With my siblings and I, Grandad always enjoyed playing Chinese Checkers or Drafts with us and even backyard cricket or soccer, when the ball would always somehow land over the back fence. In more recent years, Grandad grew quieter and preferred to stay in the background and even though he had difficulties communicating, his actions spoke louder than his words. He would often give the most comforting of hugs and never failed to bring a smile to my face. The moment before I boarded my flight to Sydney in January this year, was the last time I saw Grandad and I will always remember fondly the moment when he gave me one of his special hugs, and wished me well on my great adventure abroad. 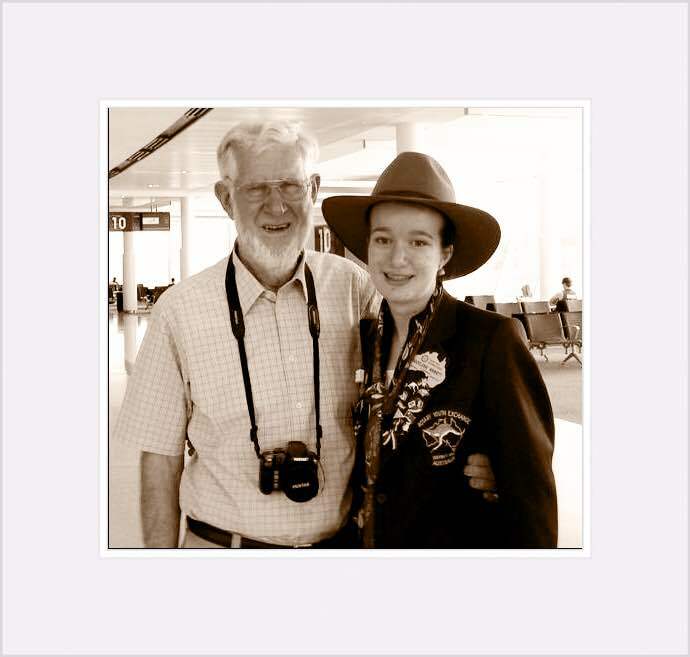 Grandad and I prior to my departure from Canberra Airport to commence my Rotary Youth Exchange in Germany on the 18 January 2014. Grandad, I love you and already miss you very much. I am very sorry to hear of the passing of your Grandad. It’s hard to be away from home, too, at such a time. Our prayers are with you and all your family.